Just over a week before he resigned from Ligonier Ministries for "personal reasons," R.C. 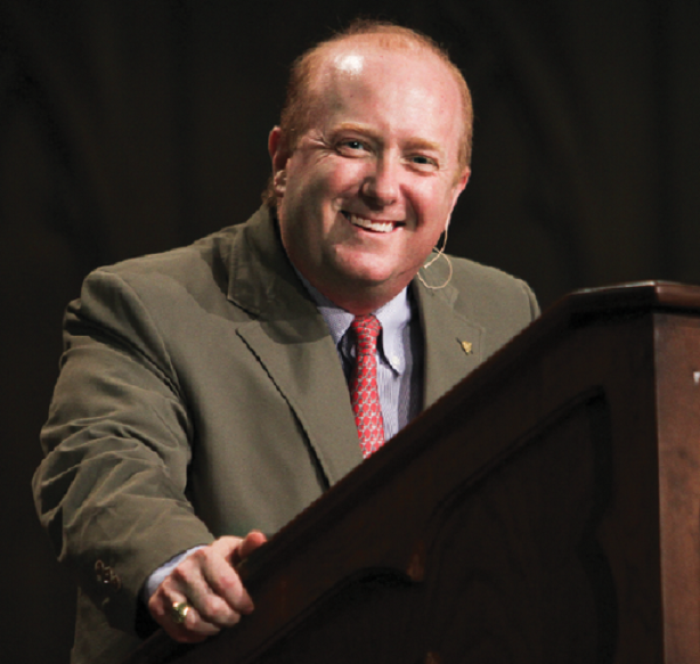 Sproul Jr., whose father Robert Charles Sproul founded the teaching fellowship ministry, was arrested in Indiana for driving under the influence with a minor in his vehicle. A summary of the charges against Sproul provided by the Indiana court system shows that he was charged on four counts on Nov. 29. Sproul was charge with two class A misdemeanors: operating a vehicle with alcohol concentration equivalent to .15 or more, and operating a vehicle while intoxicated, endangering a person. Under Indiana law both charges attract up to 365 days of jail time, probation for a year, and the suspension of a driver license for up to two years. He was also charged with two felonies for operating a vehicle while intoxicated or under the influence of a controlled substance with a passenger younger than 18, which attracts a penalty of six months to three years in jail and up to $10,000 in fines under Indiana law. In addition, he was slapped with the felony charge of neglect of a dependent in a way that the dependent was endangered. Calls made by The Christian Post to Sproul's attorney John David Cowan on Friday evening went unanswered. A message said the office was closed. Court records show that an initial hearing of the case was held Dec. 7 when a bond of $5,000 was also issued. On Tuesday, an order for monitored conditional release was entered by the Allen Superior Court 4's Pretrial Services Division. And on Wednesday, an appearance was filed by another Sproul attorney, Patrick Justin Arata. In a statement released by Ligonier Ministries on Monday, the organization said the younger Sproul was removing himself from ministry for "personal reasons" but made no mention of his arrest. "We support the Sproul family and give thanks for the many edifying contributions of Dr. Sproul Jr. over the years through his work at the ministry and the college. We believe he will be well cared for by his church during this time of transition, and we pray for him in his future endeavors," it ended. Sproul's resignation and arrest come just over a year after he was suspended by the board of Ligonier Ministries for visiting the adultery website Ashley Madison in a "moment of weakness" in 2014. "In August 2014, in a moment of weakness, pain, and from an unhealthy curiosity, I visited Ashley Madison. My goal was not to gather research for critical commentary, but to fan the flames of my imagination," the 51-year-old Calvinist Christian minister, theologian and widower wrote in a post on his now suspended website. Sproul's wife died in 2011. He is the father of eight and grandfather of one. He said his activity on the website did not result in any physical relationships, but explained that he "felt the grace of fear" and "the grace of shame." "I was there long enough to leave an old email address. And within minutes I left, never to return. I did not sign up for their service or interact with any clients. I have always remained faithful to my wife even after her passing," he said.